From the Ping app, tap the device you are interested in. Select Advanced Settings or Update Firmware from the menu that appears. 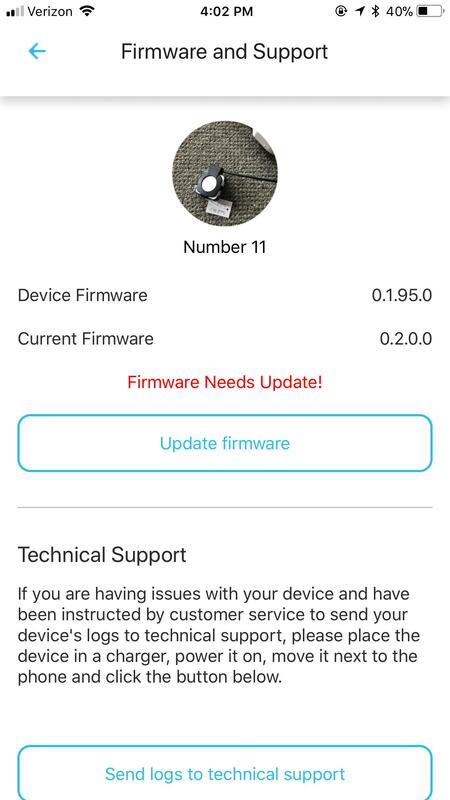 The current on your device will be listed under "Device Firmware" and the current version of the firmware available will be listed under "Current Firmware." If they aren't the same, you will be asked to update the firmware.